BRAND NEW BLOCK - NO CORE CHARGE! We've Expanded Our Coverage Of The LS Engine Series With The Latest Components For The Gen 5 LT1/LT4 Platform. We Start With A Brand New GM Aluminum Block And Fill It With Top Shelf Callies/Compstar 4340 Forged Steel Crank And Callies/Compstar H-Beam Rods w/ARP 2000 Bolts. We Add In Premium Wiseco 2618 Forged Aluminum Pistons With 1.2/1.5mm Steel Rings And Then Supply Our World Famous Machining, Balancing And Blueprint Assembly To Complete The Build. These Short Blocks Are Suitable For Up To 15lbs Of Boost. Add A Ton A Power, Strength And Reliability To Your New Camaro Or Corvette!!. Move Over LS ... We're Coming! Includes: Custom SSRE/Comp Cam Steel Billet Hydraulic Roller Cam, Cam Thrust Plate & Rollmaster Single Roller Timing Set w/IWIS Chain. Camshaft Installed and Degreed. 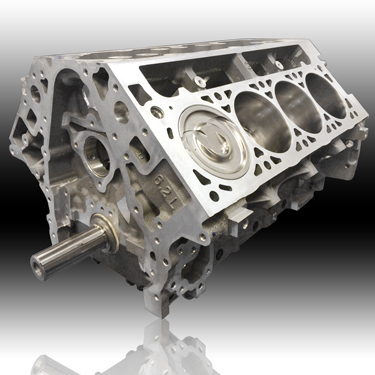 Custom Designed Camshaft Profile Based On Your Individual Application.